In the Old Testament, the prophets announced that the Spirit of the Lord would rest on the hoped-for Messiah for his saving mission. The descent of the Holy Spirit on Jesus at his baptism by John was the sign that this was he who was to come, the Messiah, the Son of God. He was conceived of the Holy Spirit; his whole life and his whole mission are carried out in total communion with the Holy Spirit whom the Father gives him "without measure." This fullness of the Spirit was not to remain uniquely the Messiah's, but was to be communicated to the whole messianic people. On several occasions, Christ promised this outpouring of the Spirit, a promise which he fulfilled first on Easter Sunday and then more strikingly at Pentecost. Filled with the Holy Spirit the apostles began to proclaim, "the mighty works of God," and Peter declared this outpouring of the Spirit to be the sign of the messianic age. Those who believed in the apostolic preaching and were baptized received the gift of the Holy Spirit in their turn. Anointing with oil has all these meanings in the sacramental life. The pre-baptismal anointing with the oil of catechumens signifies cleansing and strengthening; the anointing of the sick expresses healing and comfort. the post-baptismal anointing with sacred chrism in Confirmation and ordination is the sign of consecration. By Confirmation Christians, that is, those who are anointed, share more completely in the mission of Jesus Christ and the fullness of the Holy Spirit with which he is filled, so that their lives may give off "the aroma of Christ." 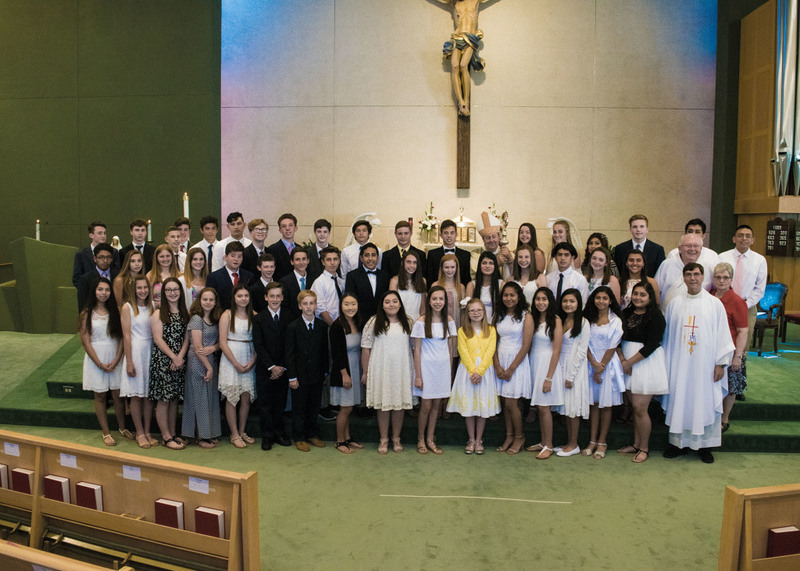 At St. Francis by the Sea, the procedures for Confirmation of school age children can be found on the Confirmation Preparation page. Adults receive Confirmation as part of the RCIA program.